Recently, Just Between Us, a UK based jewellery brand contacted me to review some of their pieces. Of course I said yes, as I'm a sucker for gold and rose gold jewellery... actually, just anything that sparkles if the light hits it! 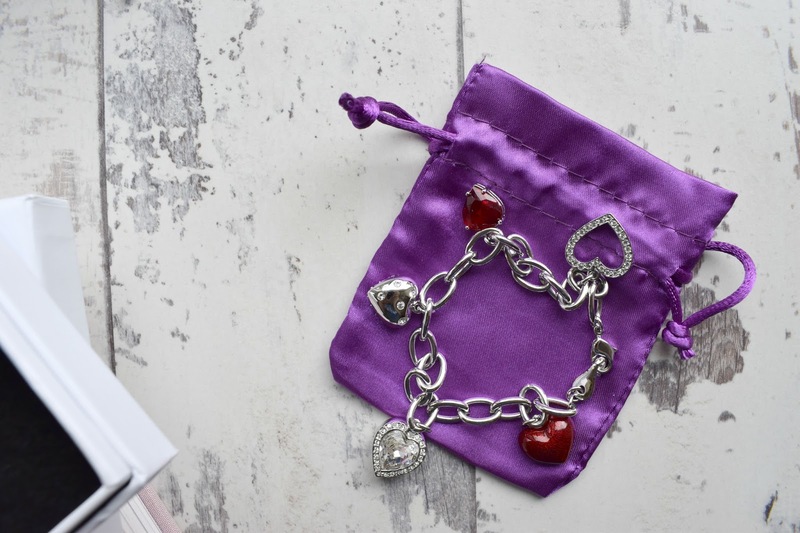 I received the Crescent Moon Necklace and a charm bracelet and wanted to show you guys of course, because I love reviewing new products and websites. It's crazy how many good sites we miss just because they aren't huge. I think it's also important to support smaller business'. I think the crescent moon necklace is very dainty looking, which is just my style. 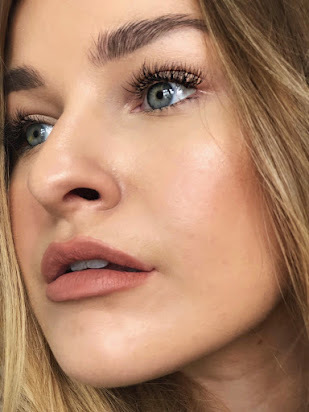 I've never been one to wear huge, chunky necklaces or earrings and I like to keep things quite simple, as I hate how jewellery can make an outfit look too much if you pile lots of glitz on. You can definitely feel the quality with the necklace as it's gold plated. The chain it comes on is adjustable and a good length and the clasp isn't one of those cheap ones (.. you know the ones!) that make it difficult to open up or pop on quickly before you leave the house. There's also a cute little heart at the end of the chain, which is a nice addition! Onto the bracelet: it is adorable. I must admit, I shy away from wearing silver. I tend to just buy gold/rose gold jewellery as I just prefer the colour and most of the time, the styles are nicer in the gold. Just Between Us engraved my name on the back of one of the hearts, which was so sweet! I tried to picture it but it become impossible as my camera couldn't pick it up because of reflections, but it does look good and I really love the idea of personalisation. Even if it's small, it just shows that you've put some real thought into a gift. You can personalise most of the products on the Just Between Us website; although I would have personally preferred the traditional, deeper engraving, but that's my personal opinion and I know some people prefer the stamping kind, as it's cheaper and a more logical reason: proper engraving can't always fit onto small, delicate pieces of jewellery! Overall, I think these are really good gift ideas and priced well as you can pay with an instalment plan. My only criticism is that I would prefer a more glamorous and 'not so simple' kind of box for the products if I was gifting them, maybe black velvet on the outside, too? However the actual packaging it's sent in definitely shows the company have put some thought into appearances - it's a shimmery purple coloured metallic jiffy bag, similar to what Mac send their products in. You would definitely know what has come through the letterbox, that's for sure! Although.. that could ruin the surprise if you're trying to be inconspicuous with a girlfriend. I know I'd open the cute purple bag if it had my boyfriends name on it.. "whats mine is yours!". The items mentioned and photographed were gifted to me, but as always my reviews stay honest. Have you guys got any personalised jewellery? 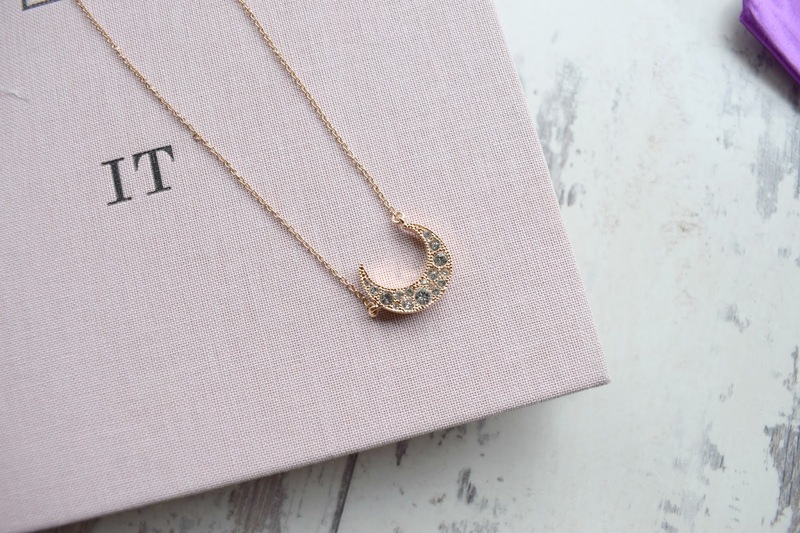 Im in love with the moon necklace, it is gorgeous! These pieces are lovely! I especially like the crescent one. Super cute!